The next Super Smash Bros. title won't be available for years. One of the biggest announcements at Nintendo's E3 2011 press conference was that a brand new Super Smash Bros. title was coming to both the Wii U and the 3DS. Awesome, right? Too bad it won't be released for years. Speaking in the latest issue of Famitsu magazine, Super Smash Bros. creator Masahiro Sakurai revealed that Super Smash Bros. 3DS/U was announced "chiefly in order to attract new team members." Nintendo was basically telling us that a thing will exist at some point in the future, with Sakurai adding that gamers may have to wait "several years." Sakurai's studio Project Sora doesn't even have any plans for Super Smash Bros. 3DS/U right now and is still focusing purely on the development of Kid Icarus: Uprising for the 3DS. The game actually might have gotten here sooner if not for the Wii U. A 3DS version of Super Smash Bros. was planned to be Project Sora's next game, but when the Wii U arrived Nintendo president Satoru Iwata asked Sakurai if he wanted to develop it for Wii U instead. "My thought was that we had to go on both platforms," Sakurai says. 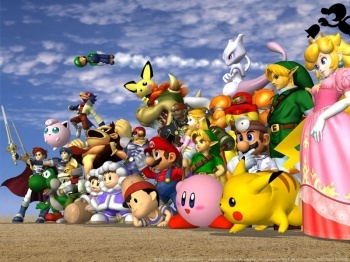 Sakurai didn't want to limit the franchise to one of the two systems, deciding instead to "think about ways to link the personal connection one has with his portable system to the gather-around-and-play aspect of console systems." He's currently building up a team that'll figure out unique features to add to Super Smash Bros. 3DS/U in each version. Luckily, I know you're all still playing the Wii's Super Smash Bros. Brawl, or even the GameCube and N64 versions of the series, so don't act too disappointed.